It is likely that you will have other elements on the screen besides the OnSign TV App if you use a computer. 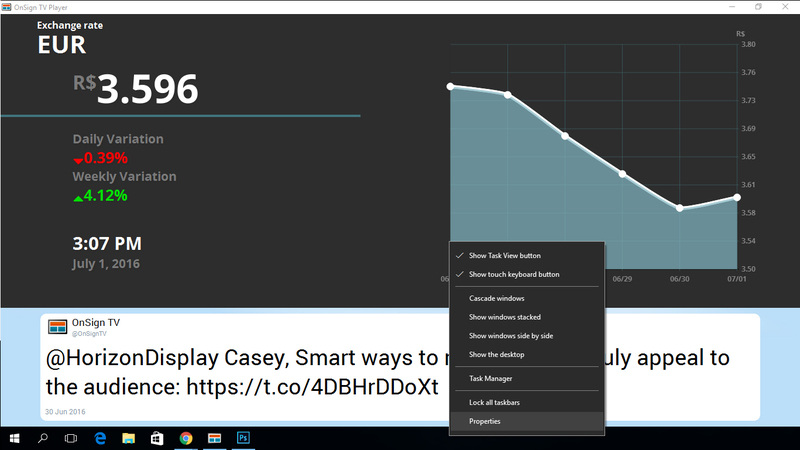 Follow the steps below and get rid of disturbing bars! 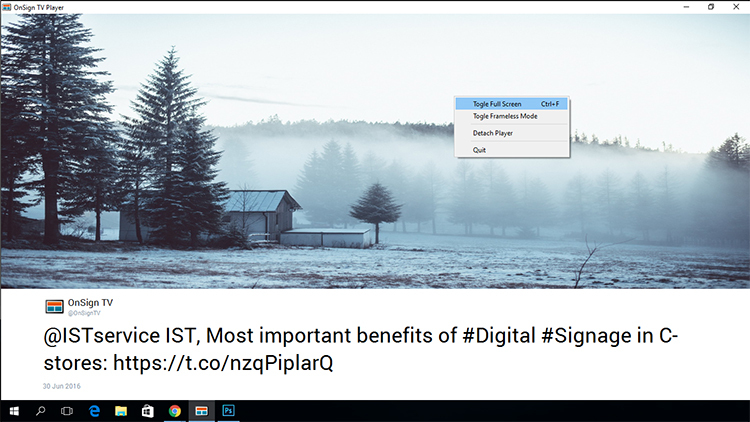 Right click on the OnSign TV App's main screen and select “Toggle Full Screen”. 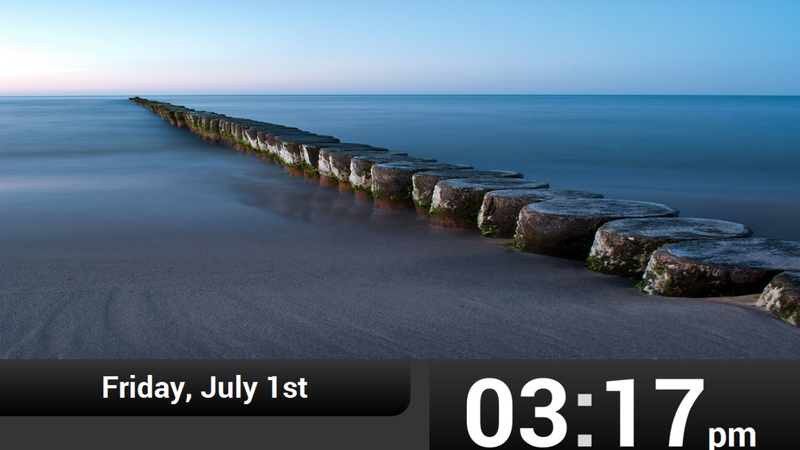 Right-click over the task bar at the bottom. Choose “Properties”. 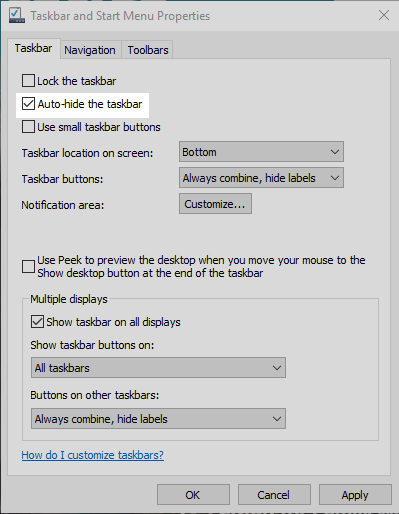 Check the option “auto-hide the taskbar”. Confirm with "Ok" and enjoy a clean digital signage on full screen!